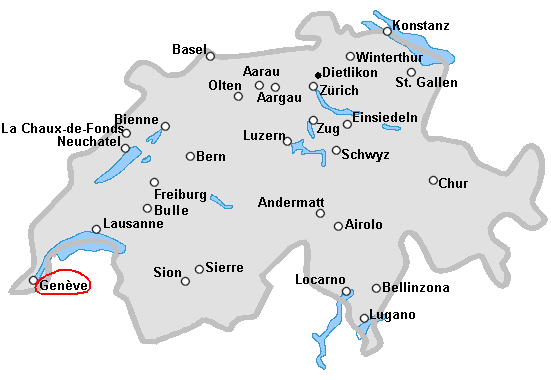 The next Swiss Juggling Convention 2011 will be in Plan-les-Ouates in Geneva, in the french part of Switzerland. Reference Web Page : http://www.juggling.ch/geneve2011. From Friday the 8 to Sunday the 10 of July 2011. - .In the school : "Ecole de commerce Aimée-Stitelmann", route de Base 24, 1228 Plan-les-Ouates. - Location of the school "Ecole de commerce Aimée-Stitelmann" with Google maps. - 50 places will be available in a "Protection civile" bunker for 5.- CHF per night. - It will be possible to sleep in a gymnastic hall. - No Camping will be at disposal. - For hotels, see the tourism information. Phone : +41 22 909 70 00. An hotel can be found at 1 km from juggle place : l'hôtel des horlogers, 135 route de Saint-Julien, 1228 Plan-les-Ouates. Phone : +41 22 884 08 33. 3 Stars. - Food will be sold on the juggling place. - A breakfast will be organised. - The participation at the festival is free. Program see the reference web page, given above. Welcoming the jugglers. Begining at 14 o'clock. 20:00 Public show in the "salle du vélodrome". - After the show, the gym will be at disposal to juggle until late during the night. 14:00 Business Meeting, discussion about the future. 16:00 End of the festival and cleaning.